The best programs for keeping your data and Windows safely backed up. We need backup software for our PCs because storage isn’t foolproof, and won’t last forever. If your data isn’t backed up, when the inevitable accident or failure occurs, it’s gone. It would be nice if Microsoft itself provided Windows users with something like Apple’s Time Machine: an effective, set-it-and-forget-it, total system recovery and backup solution that requires little interaction or thought on the part of the user. Instead, the company delivers a mishmash of restore points, recovery discs, file backup, and even the un-retired System Backup (Windows 7), which was probably originally put out to pasture for its propensity to choke on dissimilar hardware. Online backup services are another option, but desktop clients tend to offer far more flexibility. Plenty of vendors have stepped in with alternatives, and while none are quite as slick or transparent as Time Machine, some come darn close—and many are free. Read on for our top picks. Updated April 9, 2019 with our review of R-Drive Image ($45 after 30-day trial), which does everything related to imaging of disks and the related tasks, but leaves file-base backup, syncing, etc. to the competition. The reward for this laser-like concentration is the most reliable imaging I've ever come across, not to mention a very lightweight system footprint. Read our full review. 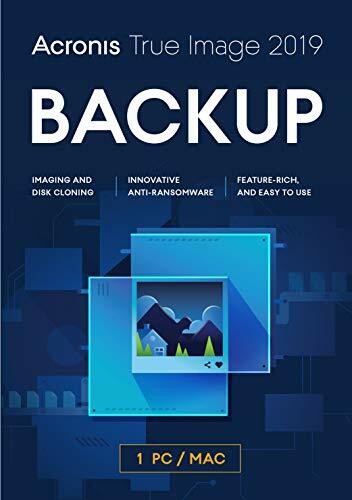 Also, check out Acronis TrueImage 2019, our new pick for best overall backup program. Acronis True Image 2019 (available on Amazon) is quite arguably the fastest, most powerful backup solution available to consumers. It offers just about every conceivable backup option: incremental, differential, super-flexible scheduling, pre/post operation commands, email notifications, just to name a few. There’s also a one-way (mirroring) function for syncing a folder to a destination, as well as client apps for your mobile devices to keep those backed up. Whew! It’s also, slowly but surely, working its way toward being truly user-friendly. Granted, all that functionality requires a fair number of background processes and a heavy footprint on your system. But if you really want the maximum backup protection for your system, there’s really nothing else that comes close to True Image in the consumer arena. Read our full review. Among the free programs we tested, Backupper Standard wins primarily because it has the most features, including imaging, file backup, disk cloning, and plain file syncing, plus multiple scheduling options (see our full review). Sure, its bitmapped interface may be retro, but the layout and workflow are intuitive. And though it’s on the slower side for backing up sets of files, it’s the fastest software we’ve tested so far for backing up full disks and partitions. Its CPU usage during backup is also commendably light. As with most things—don’t over-buy. Features you don’t need add complexity and may slow down your system. Additionally, if you intend to back up to a newly purchased external hard drive, check out the software that ships with it. 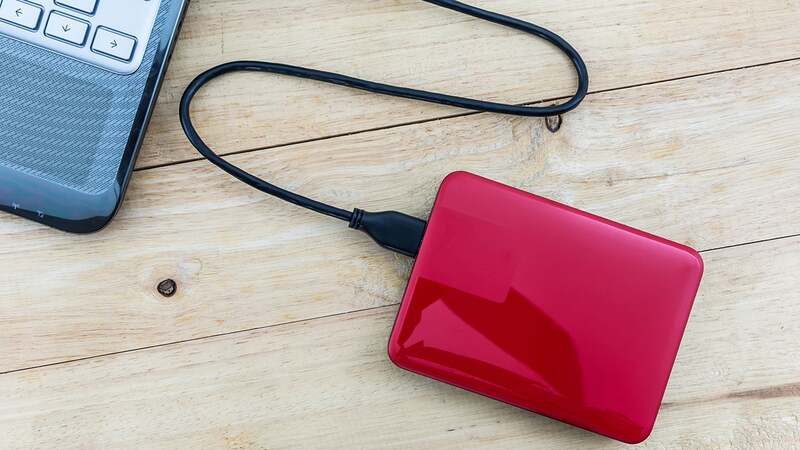 Seagate, WD, and others provide backup utilities that are adequate for the average user. Optical support: Every backup program supports hard drives, but as obsolescent as they may seem, DVDs and Blu-Ray discs are great archive media. If you’re worried about optical media’s reliability, M-Disc claims its discs are reliable for a thousand years, claims that are backed up by Department of Defense testing. We run each program through the various types of backups it’s capable of. This is largely to test reliability and hardware compatibility, but we time two: an approximately 115GB system image (two partitions), and a roughly 50GB image created from a set of smaller files and folders. We then mount the images and test their integrity via the program’s restore functions. We also test the USB boot drives created by the programs. If you’d like to learn more about our top picks as well as other options, you can find links below to all of our backup software reviews. We’ll keep evaluating new programs and re-evaluating existing software on a regular basis, so be sure to check back for our current impressions. Though the concepts and language aren't newbie friendly, CloudBerry Backup is a multi-tool par excellence. It interfaces with nearly all the online storage services, while providing local file and image backup as well as first-class disaster recovery with boot media. It's the most comprehensive backup solution out there. Take a look.